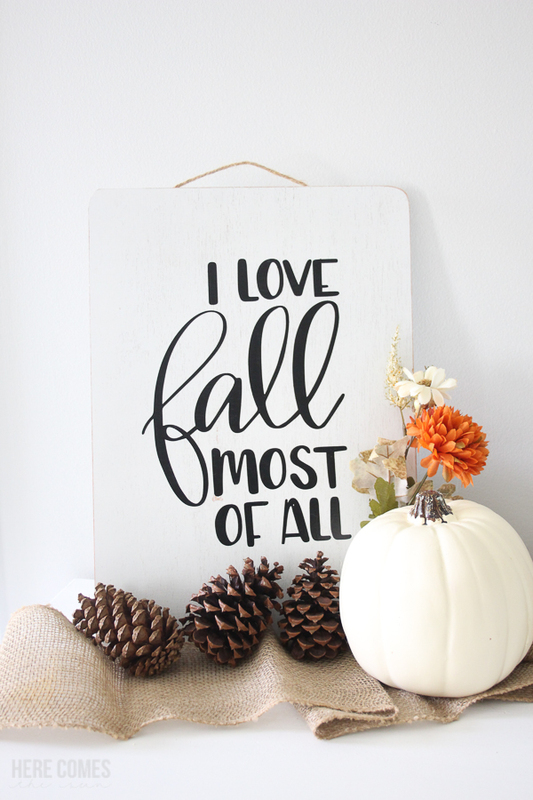 Learn how to make this hand lettered fall sign…even if you can’t hand letter! My house is decorated in a coastal theme and I find it difficult to decorate for fall with all the reds, oranges and yellows. 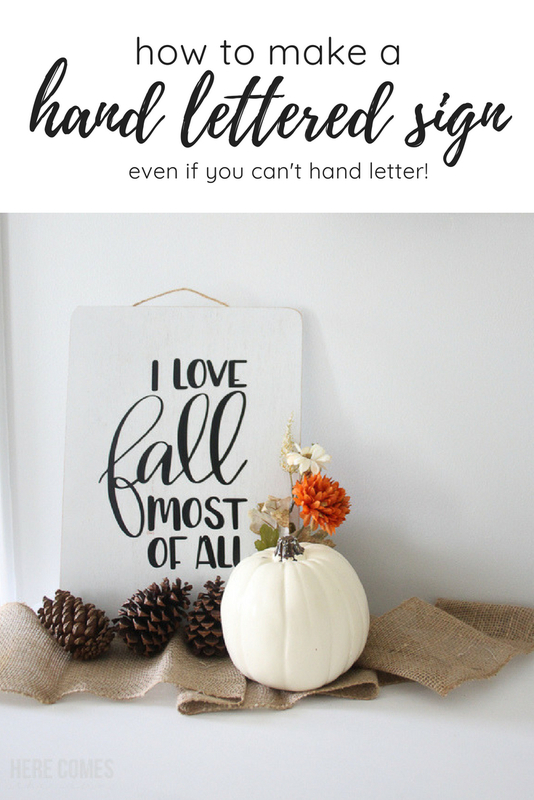 I love Fall decor but sometimes I just can’t get it to go well with my existing decor so I decided to create a rustic hand lettered fall sign that works perfectly with a neutral color palette. 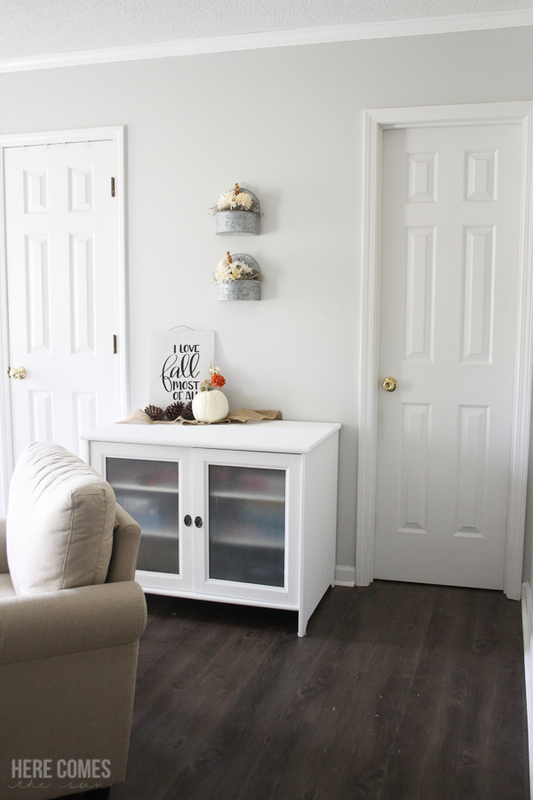 If you have gray walls and light colored furniture and accessories…this project is perfect. Even if you have a different color palette…this will work with everything. The key to making this hand lettered sign is my cut file! 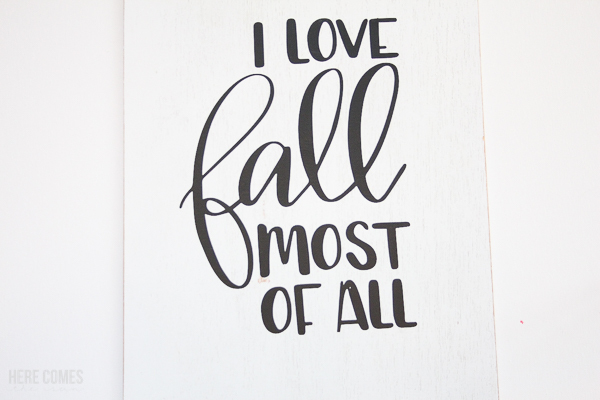 You don’t need to know how to hand letter… you just need my “I Love Fall Most of All” cut file from my Fall Quotes SVG Files Bundle. 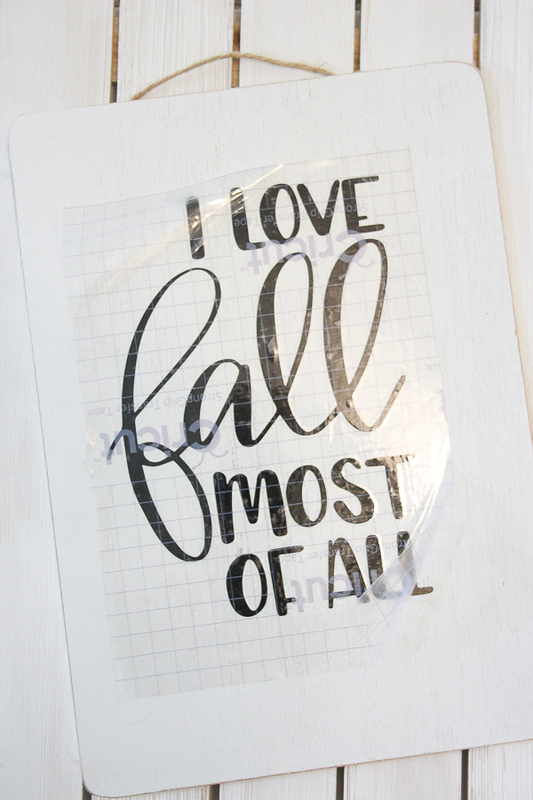 Cut out the “I Love Fall Most of All” file onto vinyl and weed out the unecessary parts, leaving only the text. One thing that I learned while making this project…if you use Cricut transfer tape, make sure it is NOT the Strong Grip kind. Strong Grip transfer tape is super sticky and sometimes it is difficult to get your vinyl to adhere to your project. If you are finding that the transfer tape is not releasing your vinyl, stick the transfer tape down onto some carpet or your clothes to make it less sticky before you stick it to the vinyl. This worked well for me because I accidentally purchased the Strong Grip. In the past when I have used the regular transfer paper, I have not had this problem. This is how it looks in our front room. 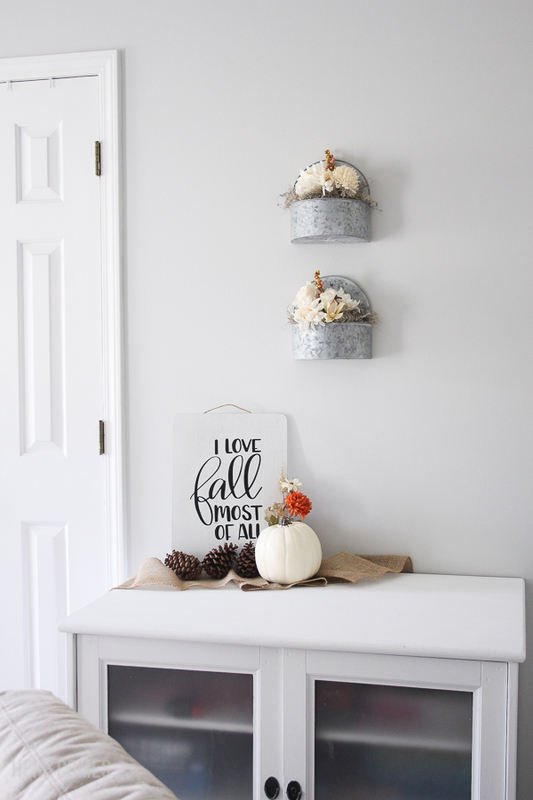 I’m loving the way it turned out and love that I now have neutral Fall decor!